Most marketers aren’t analysts by trade. 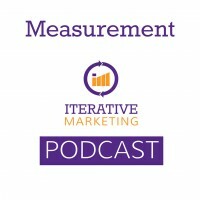 Understanding how to make measurement actionable doesn’t come naturally. Ex: The investment behind a company blog includes the cost to promote blog posts, and the time required to write, edit and publish posts. Ex: The investment of a pay-per-click campaign includes the hard costs of what we pay per click. Soft costs include internal management of the campaign. This component focuses on discovering if we moved the needle. The trick is to know what needle we are supposed to be moving, or what is the right metric? Knowing our key performance indicator is essential. KPIs indicate success of a marketing program. Some programs have multiple KPIs. Some are leading indicators, others are trailing indicators. Leading indicators: Things we can report on today that let us know we are on the right path. Trailing indicators: Things that we can report on in the future that let us know if we have overall success. Ex: In a pay-per-click campaign, the leading indicator would be clicks and sales. Trailing indicators would be lifetime value of a customer. Ex: in a company blog, the leading indicator would be dwell time on blog posts, shares or repeat visits. Trailing indicators would include new clients or retained clients. Attribution is how to connect investment to outcomes. There are a number of attribution models to help us know which investments result in which outcomes. First and last touch attribution are simple models of attribution. They say that one outcome is the result of one investment. These are inaccurate and don’t take the entire customer journey into consideration. Multi-touch attribution is more complex, but more accurate. This spreads the responsibility of the sale across multiple touchpoints. Digital marketing uses tagged URLs to help us know when a touchpoint occurs and which investments are responsible for that touchpoint. Traditional marketing uses surveys of new and existing customers to see what they can recall from advertising. They also look at probability that a prospect saw a piece of marketing. To make metrics actionable, we must measure our data across a length of time. Trends and experiments play into this. Trends tell us how past performance of a metric can predict the future success or failure of our marketing. Experiments test how an output would change if we changed one input of our media. It tests how it would change the trend we’ve identified. Our cadence with analysis and experimentation is monthly, with weekly checks on the media. Heavy analysis occurs at the end of the month.